White mold can be hard to detect, especially in the early stages of mold growth. 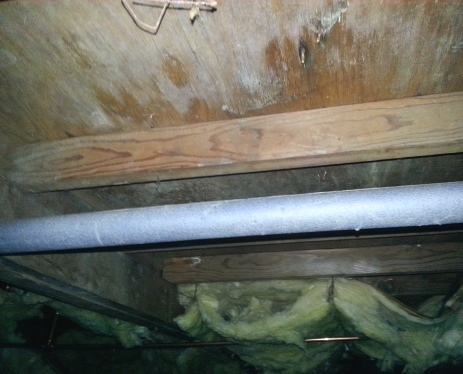 Many people notice that there is a problem when they see visible mold growth in an area of their home, when they smell mold, or they may begin to experience the health affects of mold exposure. 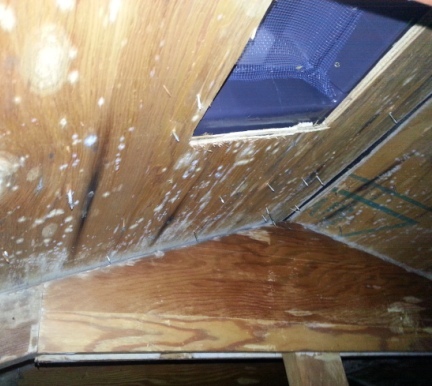 The reason that white colored mold may be more difficult to detect is because of the light color of the mold growth. Often, this type of mold blends in with the materials that it is growing on, and it is not as noticeable as black or green mold. Even though white colored mold is not as visible, it can still be dangerous to your health. There are various types of mold that can occur, and different strains may actually have the same color. So, if you find mold growth within your home it is best to consult with a professional in order to determine how dangerous it can be to your health. The truth is that even mild forms of white mold can be dangerous to your health, so any type of mold growth should be taken care of immediately. 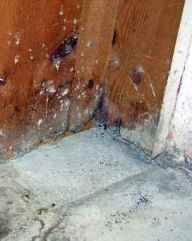 This type of mold can be found in various locations in a building, but it is most common in damp areas. The mold usually appears as a white powdery film, and some people may not realize that it is even mold growth. Some of the health symptoms that white colored mold can cause include eye irritations, dizziness, nausea, allergic reactions, respiratory infections, headaches and depression. Mold problems need to be cleaned up with care, because they can cause health problems if you are exposed to the mold spores. Many people make the mistake of cleaning up the area without researching mold sanitizing procedures, and they end up harming themselves as well as spreading the mold throughout the rest of their home due to cross contamination. White mold health affects people of all ages, and prolonged exposure may cause you and your family to become sick. This sickness generally begins mild, and progresses with time as the exposure continues to occur. Start out by protecting yourself from the mold by wearing goggles, a face mask, and rubber gloves. Take care to prevent the mold from coming in direct contact with your skin. The area where you are working should be contained with plastic sheets and duct tape to prevent cross contamination to other areas of your home. Also, use a negative air machine in order to prevent the mold spores from drifting through the air to other areas. All of the visible mold needs to be removed by scrubbing with a disinfectant. If the mold is on porous items, like carpets, drywall, insulation or curtains, those items will need to be disposed of. Once the mold is gone, everything needs to be sanitized with a biocide in order to kill any remaining spores. Because white mold affects people even when they are unaware of the presence of mold, it is a good idea to have the area tested in order to be sure that the mold was completely removed. These mold spores are microscopic, and even though you can’t see them they may still be harming the health of you and your family. Working with a professional during the cleanup process will help you to be sure that everything is cleaned up correctly. An independent mold testing company can come in when the cleanup is complete, and they will verify that the mold spores have been eradicated. 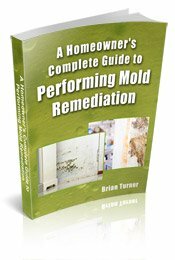 There are many mold specialists that offer a free, no-obligation consultation to help you determine how bad your mold problem is. These consultations are important because the specialist is able to use specialized equipment that gathers information about the severity of the problem. Keep in mind that mold cannot always be seen, and it may have spread further than you realize. Follow the link to schedule a mold consultation, and you will get a better idea of the areas that are affected and the steps that need to be taken in order to completely clean up the problem. Additionally, the specialist will give you a price quote so that you can determine if it would be better to hire a professional, or to do it on your own.